Celebrating the completion of a $2.4 million renovation at Temple Shalom in Succasunna, about 125 community members, dignitaries, and religious school students attended the ribbon-cutting ceremony on May 1. The new building includes the Florence and Edward Gates Founders Hall, a renovated meeting area named in honor of the Gateses and the nine other families who established the synagogue with them. It also includes a Judaic Studies Center, focused on adult education, an elevator for accessibility, completely renovated kitchen and social hall, and designated family room for simchas. The entrance was moved from the side of the building to the back, facing the parking lot. The sanctuary received new lighting, carpeting, and paint, and bathrooms were upgraded. Administrative offices were moved from the second floor to ground level, and the upstairs area now focuses on worship and spirituality while the area below is where day-to-day business operations and the religious school take place. The renovation, which began last July, took just under a year to complete. 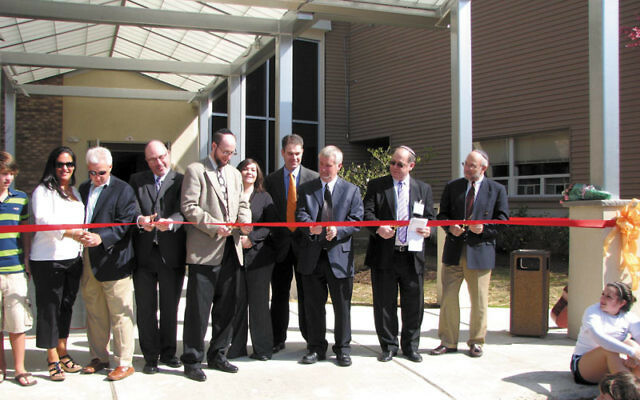 The new building was designed by architect Seth Leeb and completed by Phelphs Construction Group. Temple Shalom was founded as Roxbury Reform Temple in the summer of 1960. Construction of the original building on South Hillside Avenue began in 1965. There were subsequent expansions in 1976 and again in 1988-89. The membership of the synagogue now hovers around 500 families. 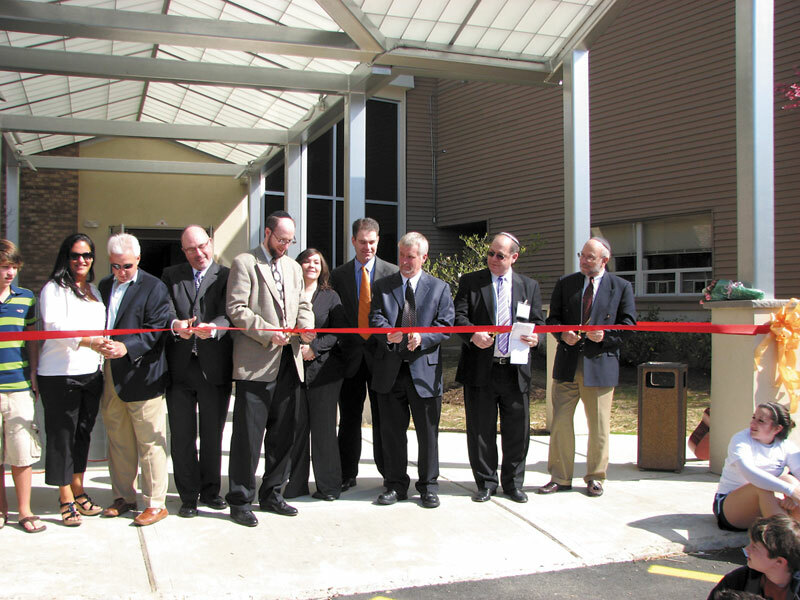 Dignitaries who attended the ribbon cutting included U.S. Rep. Rodney Frelinghuysen (R-Dist. 11), Roxbury Mayor Jim Rilee, and Roxbury Interfaith Clergy Council president Rev. Joe Monahan. Rabbi emeritus Joel Soffin, who led the congregation from 1979 until 2006, also attended the celebration. Following a welcome by congregation president Jeffrey Schwartz, religious school students opened the program with “In This House” by Beth Schafer, led by education director Corey Hermann.